The first real signs of winter have arrived here in Georgetown. 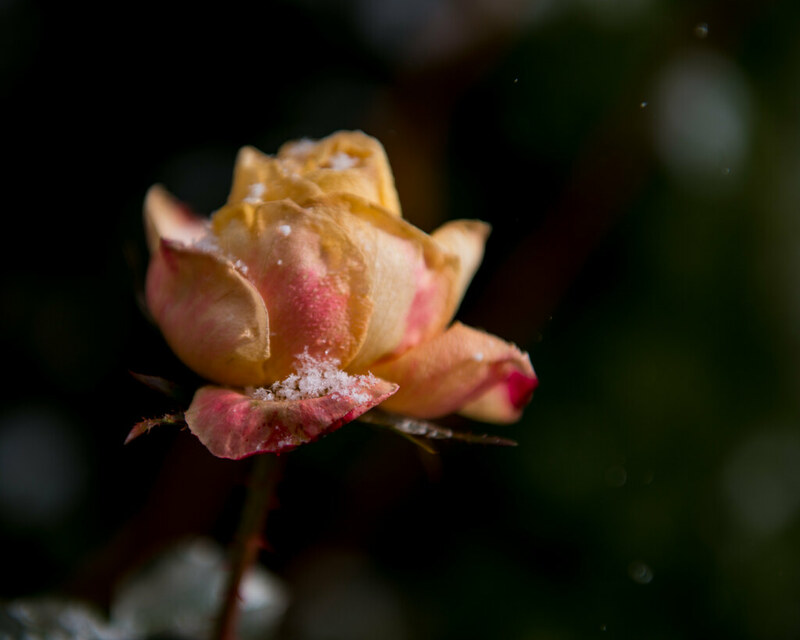 This rose in my garden collects some of today’s snowflakes. Next Post328/365: My favourite cup.